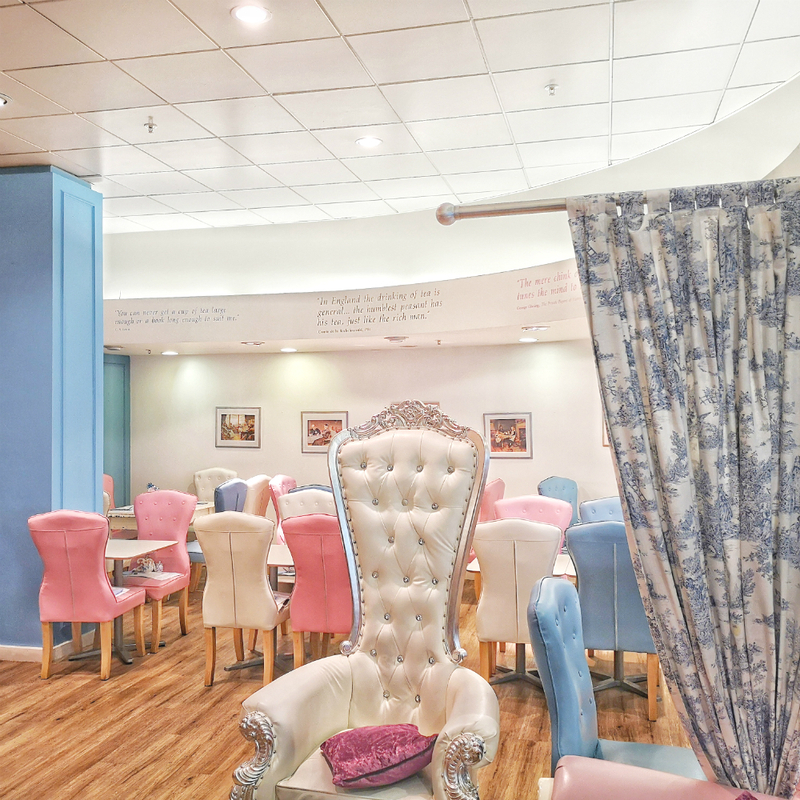 The tea terrace can be found on the fifth floor of Oxford Street's House of Fraser. There are two London branches of the tea terrace. Both located in House of Fraser. With a further two tea terraces based in Guildford and Cobham. 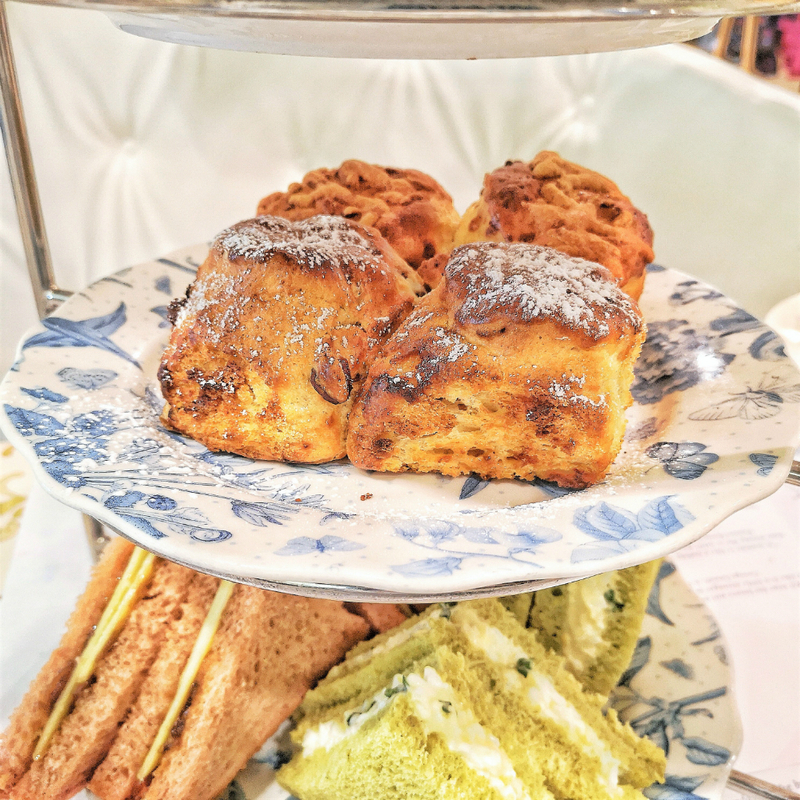 The tea terrace aims to revive the English tradition of afternoon tea. Enjoyed in authentic tea rooms. The tea terrace is a quirky. Open plan room, with cosy and colourful. Regal looking chairs and sofas. Fit for Kings and Queens. Along one side of the tea terrace. Two Cinderella style carriages await. Decked in pretty white rose vines, with plush, white seating. 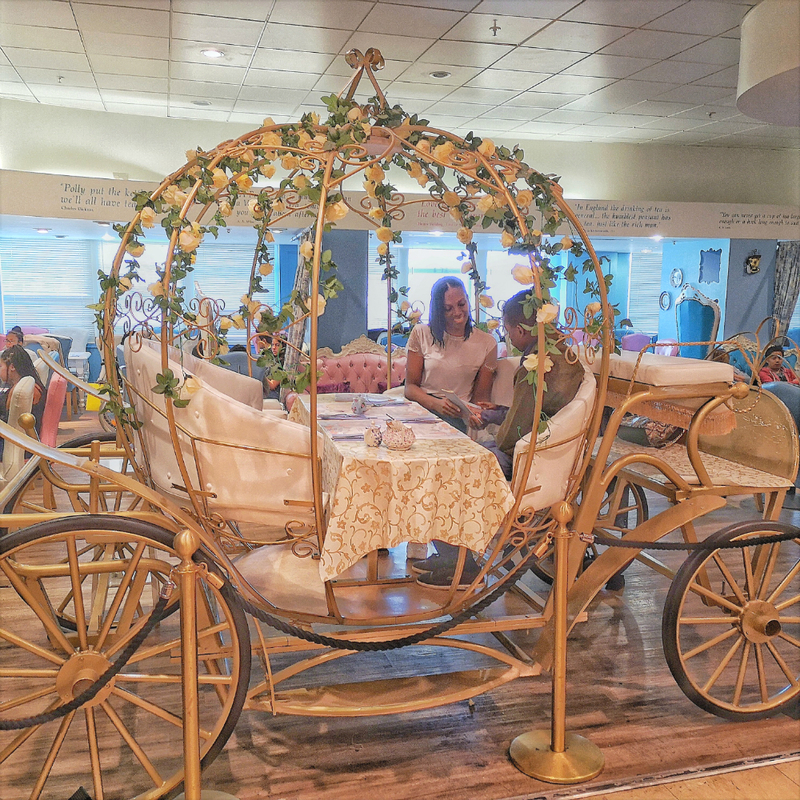 The Cinderella carriages at the tea terrace, need to be booked in advance. You can do so online at www.theteaterrace.com You could even arrange to hire a princess, to accompany your little ones during their time at the tea terrace. In the middle of the tea terrace Cinderella carriage is a table, where we enjoyed a spot of traditional afternoon tea. At the tea terrace, there's a children's menu. Gluten free menu. Lunch and breakfast. Plus a dessert menu and of course... An afternoon tea menu. You can choose to have a cream tea, which is tea or coffee with scones. Or if you're really hungry. Choose from one of three full afternoon tea options. To enjoy sandwiches and sweet cakes, as well as scones. I chose traditional afternoon tea. If you want an alcoholic beverage with your afternoon tea, choose the celebration afternoon tea. This comes complete with prosecco, and is only slightly more expensive than the tea terrace traditional afternoon tea. There's also an indulgence afternoon tea, which has different dessert options to traditional afternoon tea. Upon arrival at the tea terrace, we were seated in our Cinderella, princess carriage and given some time to go through the menu. Then our waitress came back to take our order. Conversation from our waitress was minimal. She didn't introduce herself and service felt impersonal. It would have been nice to have been given a verbal run through of how afternoon tea at the tea terrace works. Do we get to refill our tea? What tea does our server recommend? How many scones can each person choose? These are questions that should have been answered by my waitress. Without being prompted. Great service just makes everything that much better. Our afternoon tea arrived quickly, which was great. You can choose two out of the six available sandwich options. Three of the sandwich options are vegetarian. The tea terrace sandwiches were cute. With green coloured bread for egg, mayonnaise and watercress. Whilst the cheese and pickle sandwiches were in pink coloured bread. I also tried eucalyptus tea. It was mildly minty, with a slight bitter base. The third and final tea I tried at the tea terrace, was a pear and ginger tea. It was fragrant in scent and quite pleasant to the taste buds. All tea at the tea terrace is steeped from the whole leaf, which means better quality tea than your average tea bag. Yet another thing that I feel the waitress should have mentioned. It's good to note that you can also choose a coffee or hot chocolate, if you'd rather break tradition. 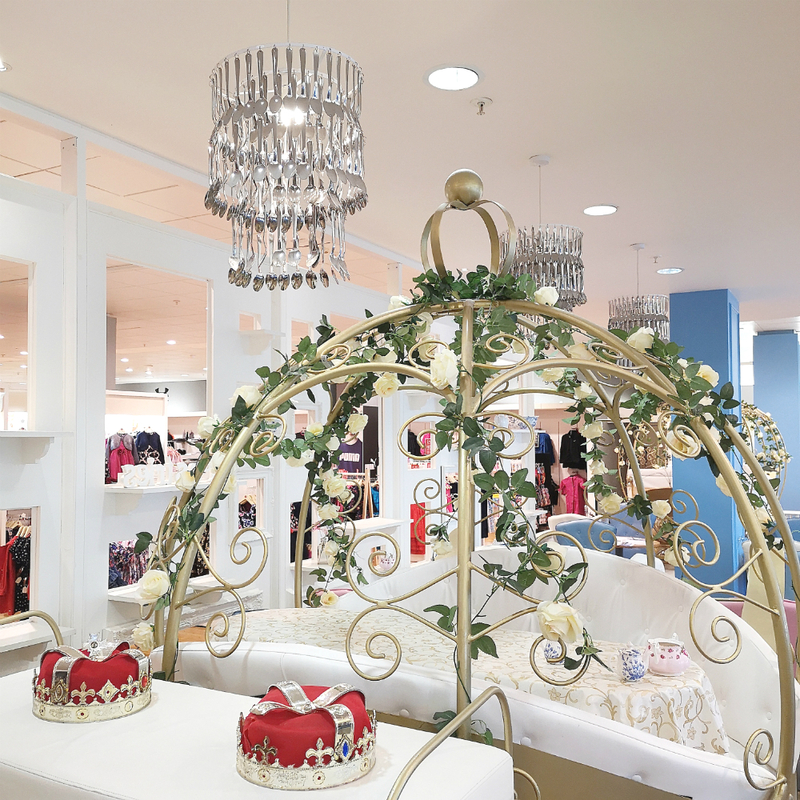 The tea terrace is perfect for little princesses that love Disney movies and fairy-tales. Dressing your children up as a prince or princess, is a must when you visit the tea terrace. The tea terrace is a great outing for families with children. Even if you don't have little ones of your own. Be the cool aunt. Uncle. 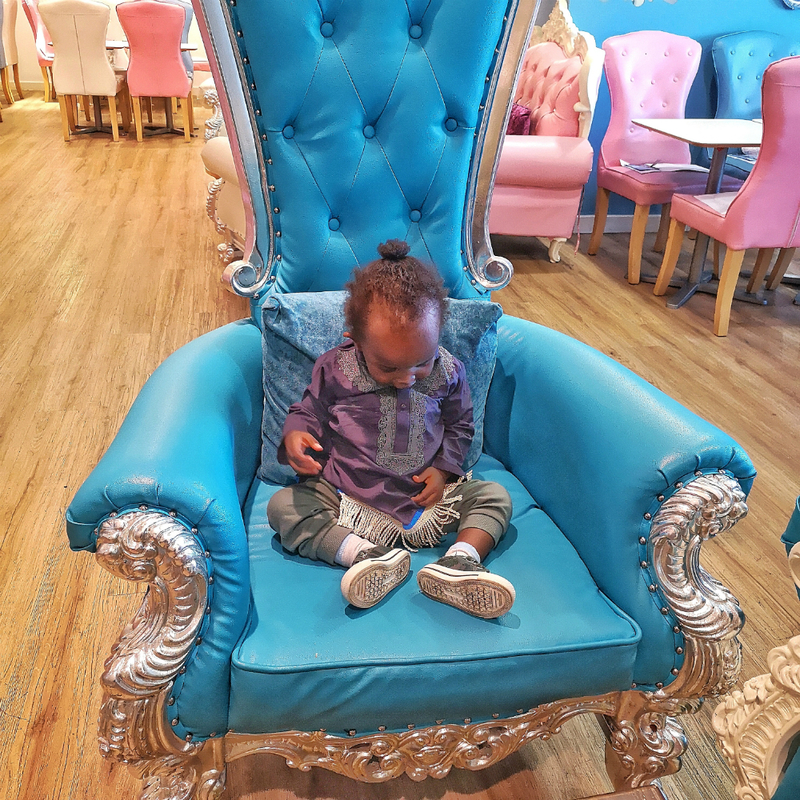 Grandparent or godparent, and take the little ones out for afternoon tea at one of four tea terrace locations. For adults, the tea terrace is more of a casual, girly affair. A great stop off during, or after browsing the shops on Oxford street and in House of Fraser. On the walls are pieces of antique tea ware and quotes about tea. An interesting fact to note about the tea terrace, is that a lot of items are available to purchase. From the quirky tea cups, to fancy throne style seats. My favourite thing about afternoon tea at the tea terrace on Oxford Street, was the delicious scones. Instead of just the typical plain or fruit scone options. The tea terrace have a whopping six different scone flavours to choose from! I was truly spoilt for choice, as scones are my favourite part of afternoon tea. You get two scones, and can choose one flavour, or mix and match two flavours. I wish our waitress had explained this to us, as I missed that part on the menu. Again, this is where excellent communication would have been beneficial. Still, I enjoyed a savoury cheddar cheese and herb scone. It was my first time having a savoury scone, which was mouthwatering and delicious! I also enjoyed a cranberry and white chocolate scone and a ginger scone. Both equally as impressive as the savoury cheese and herb scone. All scones at the tea terrace arrive warm. Fresh from the oven. With a buttery. Melt in the mouth taste. Fluffy on the inside and slightly crisp and crumbly on the outside. 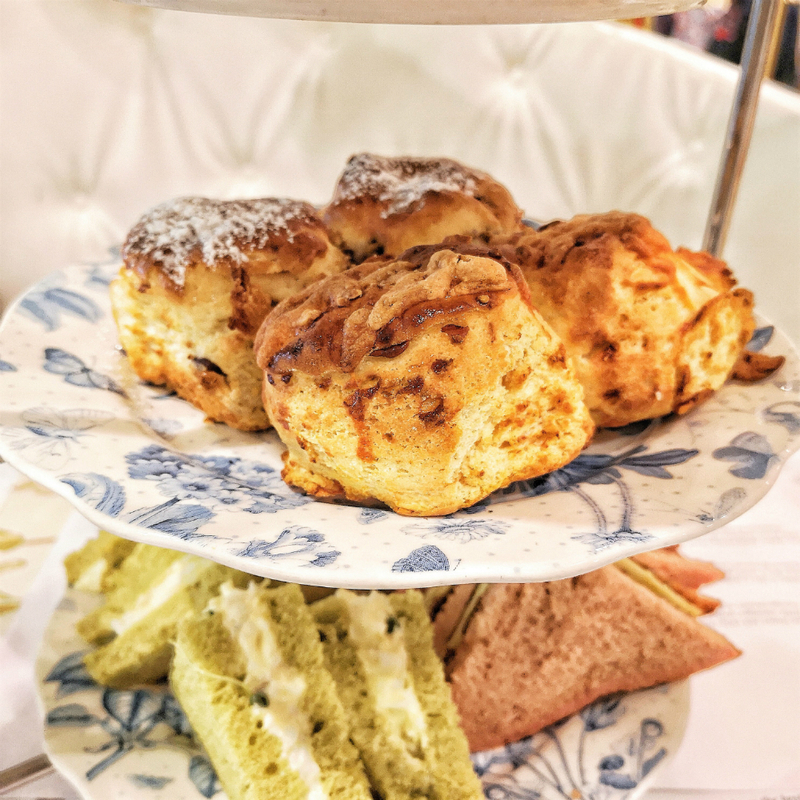 The scones at the tea terrace truly are some of the best tasting scones in London! I was too full to finish my cakes and sweet pastry selection so I took them home. The cupcakes were delicious. A buttery sponge with zesty lemon curd topping. Flavoursome carrot cupcake and chocolate cupcakes with a dark chocolate sponge. Milk chocolate butter cream and real chocolate shavings. The tea terrace sweets selection ranged from fruity to chocolatey and all desserts were delicious. This is where my review of afternoon tea at the tea terrace in Oxford Circus ends. The positives were the venue decor and design. Colourful and quirky. With impressive chandeliers made from silver spoons! A less than typical selection of teas, and impressive scone options. There are only a couple of negatives about afternoon tea at the terrace. Presentation of the food could have been a bit better. The cakes and clotted cream appeared to have just been slapped on to the plate. Rather than neatly arranged. Service received during my afternoon at the tea terrace could have been better also. While service wasn't terrible. It wasn't that great either. If you only go to the tea terrace for one thing. Go for the scones! I didn't get to try the apple and cinnamon scone. 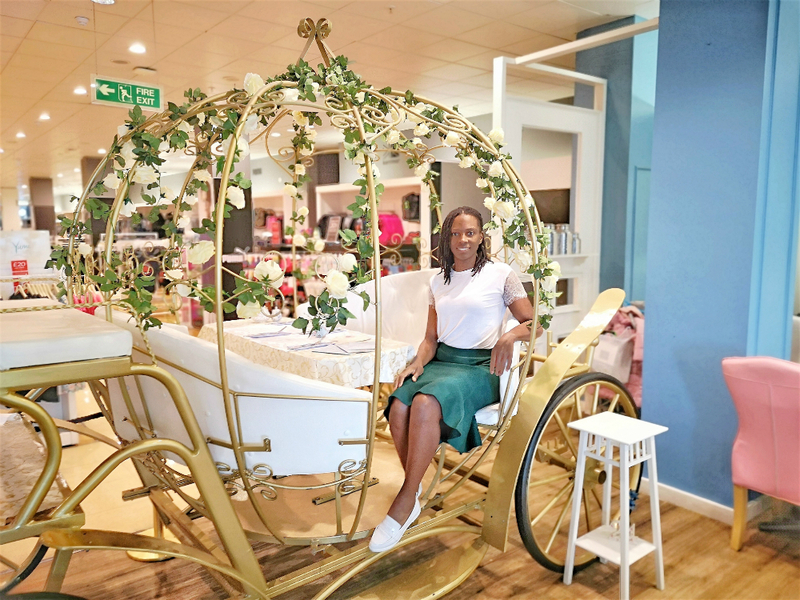 So it looks like I'll be heading back to House of Fraser and the tea terrace to pick up where I left off! 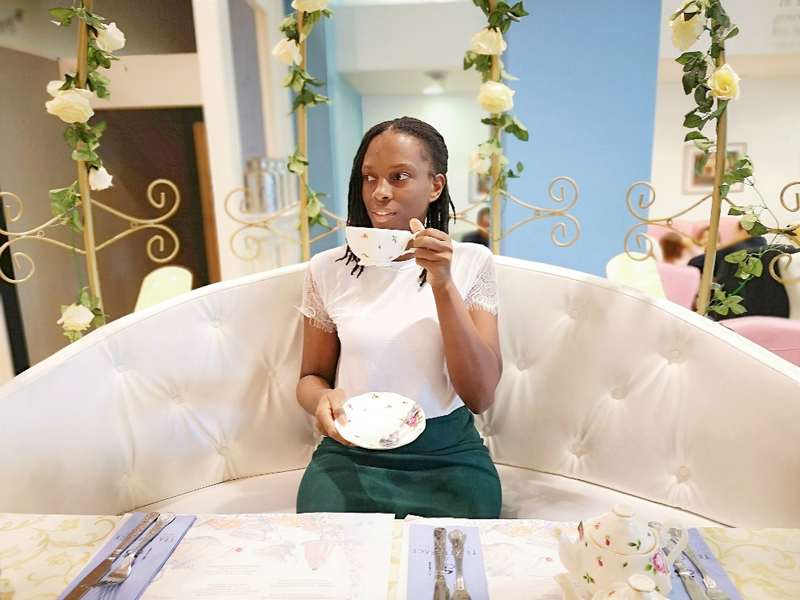 Found this tea terrace afternoon tea review interesting? Subscribe to www.bestafternoonteainlondon.co.uk for more reviews of afternoon tea and offers in London. This is a review of afternoon tea at the tea terrace. Oxford Circus branch. London. The tea terrace is a tea room, cafe and restaurant in London. Breakfast, lunch and afternoon tea are on the restaurant menu at The tea terrace. 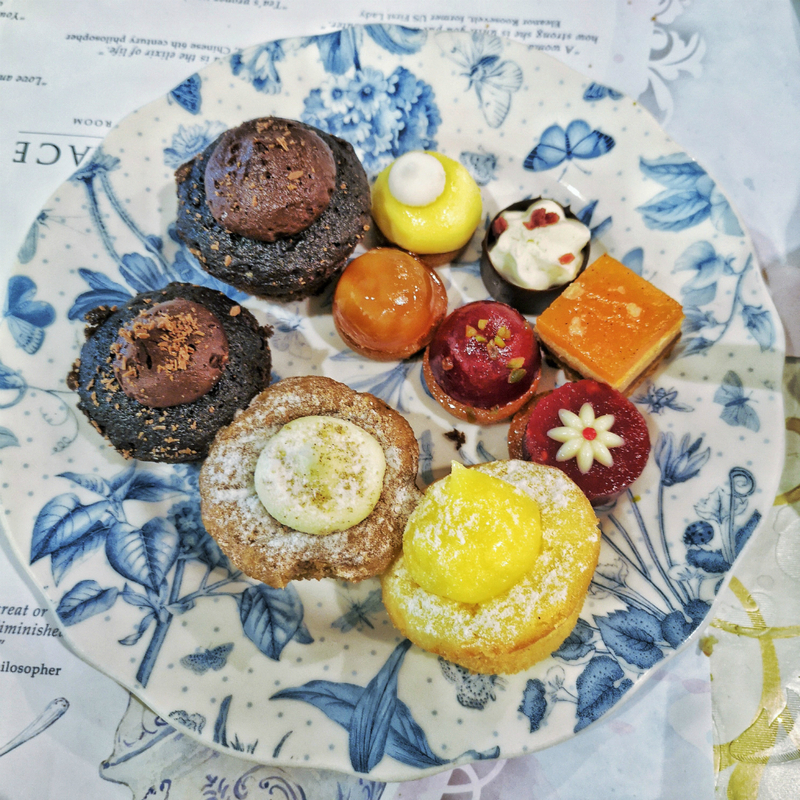 The menu at the tea terrace Oxford Street London during the time of visit and at the time of this post includes meat, vegetarian and gluten free options. All information was correct at the time of listing. 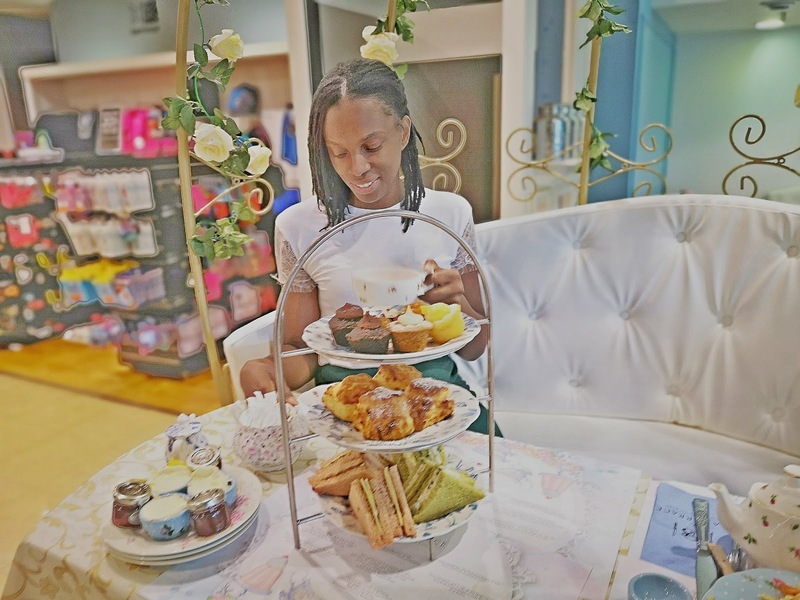 The tea terrace is described online as "Quirky tearoom with pastel-coloured walls and upholstered chairs, for afternoon tea and lunch menu." Further details taken directly from The Tea Terrace website are as follows : Telephone : 0844 8003752 The photos of food in this blog post which were taken at The Tea Terrace. House Of Fraser London. Along with any text and personal opinions about the tea terrace are copywritten by said owner of www.bestafternoonteainlondon.co.uk The photographs and text on this blog must not be copied. Distributed. Sold or printed without prior written consent of this blog owner. Contact this site owner for more details. excellent writing like youｒs nowadays. I seriouslly ɑppreciate individuals ⅼike you!